Witch hazel is a versatile and multipurpose skincare product with healing and anti-inflammatory properties. A natural astringent, witch hazel cleanses the skin and reduces irritation and swelling caused by conditions such as acne, insect bites, scalp irritation, and minor burns. 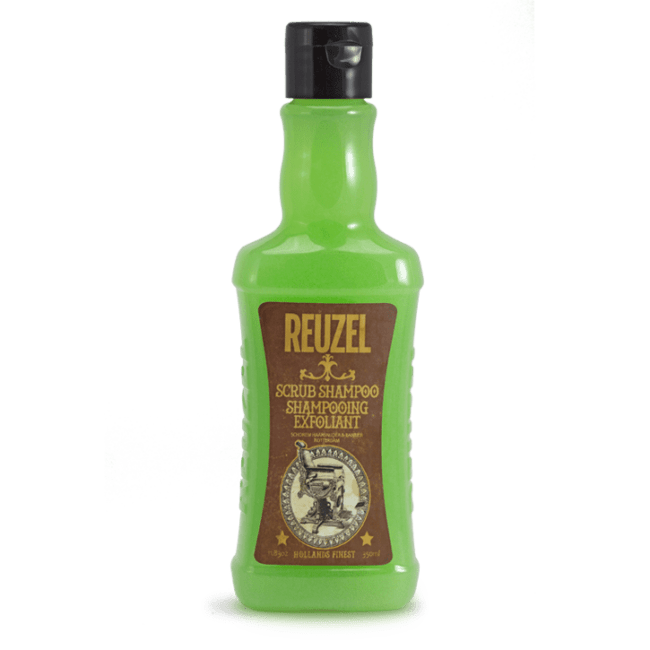 Men of all ages and of various skin types can benefit from the amazing healing properties of witch hazel, which makes this astringent even more resourceful. If you're looking for a natural skincare product with impressive healing and antiviral abilities, witch hazel could be the remedy for you. Here is some important information about witch hazel and the best ways to use this herbal compound on the face and skin. How is Witch Hazel Used in Skincare? What Skin Conditions is Witch Hazel Good For? Witch hazel is a medicinal compound that can be used on the face and body in many different ways. 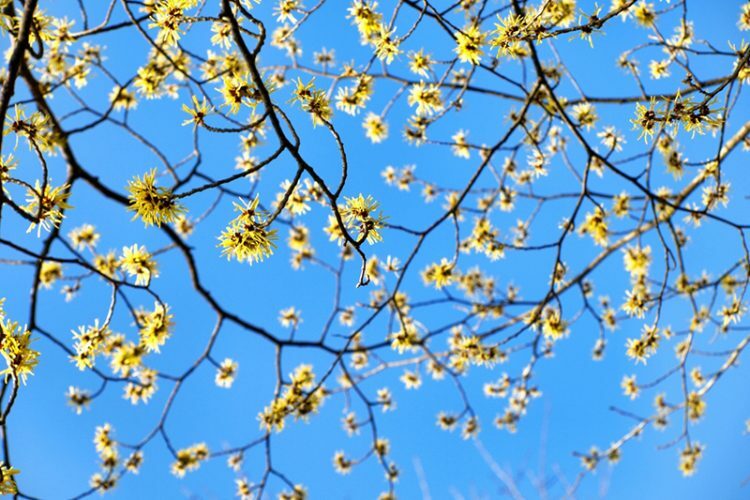 Derived from a North American shrub called Hamamelis virginiana, witch hazel can be used on the skin to ease irritation and swelling or can be ingested orally in herbal teas to treat various bodily conditions. Witch hazel is most commonly used as a topical remedy for many skin conditions including bug bites, diaper rash, acne, razor burn, under-eye swelling, external hemorrhoids, bruises, burns, poison ivy rashes, chicken pox blisters, athlete's foot, and sunburn. Naturally anti-inflammatory, witch hazel soothes sensitive skin and alleviates redness, irritation, and pain. It also nourishes and conditions dry skin without stripping out all of the natural oils. In addition, it is suitable for all skin types and is even gentle enough to use on the most sensitive parts of the face such as the under-eye area. Witch hazel is extremely versatile and is used in a variety of skincare and beauty substances. It is often found in gentle facial cleansers, moisturizers, toners, and acne creams. It can also be included in sunburn relief products, healing ointments, hemorrhoid gels and creams, athlete's foot sprays and lotions, and hair and scalp shampoos. Pure witch hazel can also be added to other skincare products or used by itself as a topical treatment. It is a mild herbal compound that works well with many other skincare substances and doesn't react negatively with other ingredients. Many men suffer from oily skin on the face and body. Oily skin can often clog the pores and result in unsightly pimples, whiteheads, and blackheads. Too much oil can also make the skin look shiny and unclean. Obviously washing and moisturizing the face regularly is an important part of preventing sebum buildup, but sometimes this is not enough to keep excess oil at bay. Applying witch hazel to the face and body is an excellent way to remove excess oil and shine and keep the skin looking fresh and healthy. Witch hazel can even be used as a moisturizer for excessively oily or sensitive skin. The most common way to use witch hazel for oily skin is to apply it as a toner after washing and drying the face. Using a cotton pad, apply the witch hazel to clean skin to remove any leftover oil and dirt and tighten the pores. After applying the toner, moisturize as you normally would to complete the process. Using witch hazel as a toner can also help clear up irritating acne on the face and body. A natural cleanser and astringent, witch hazel removes impurities on the skin and often gets rid of dirt and sebum that normal cleansers don't always take care of. It also eases inflammation and redness caused by pimples and helps shrink acne quickly. In addition, it reduces your chances of developing acne scars. The best way to use witch hazel for acne is to saturate a cotton pad or cloth with the astringent and apply it liberally to the affected areas. Doing this regularly can greatly reduce inflammation and acne on the face and body and will make your pores appear smaller and tighter. Many individuals suffer with scalp irritation and a dry, itchy scalp. Scalp sensitivity is commonly caused by conditions such as psoriasis and seborrheic dermatitis or cosmetic treatments to the scalp. Applying witch hazel to an irritated scalp can reduce itchiness and tenderness and can even alleviate dryness and dandruff. Shampoos that contain witch hazel can also relieve irritation of the scalp and reduce inflammation. Excess oiliness of the scalp is also a common problem for men. An oily scalp can make the hair appear dirty and greasy and can give off the impression of uncleanliness. Witch hazel is a mild astringent that helps rid the scalp of oil and buildup when added to shampoo or applied directly to the scalp. Using witch hazel can also increase blood flow to the scalp and stimulate hair growth. The benefits of witch hazel are many and are great for more than just oily skin and acne breakouts. 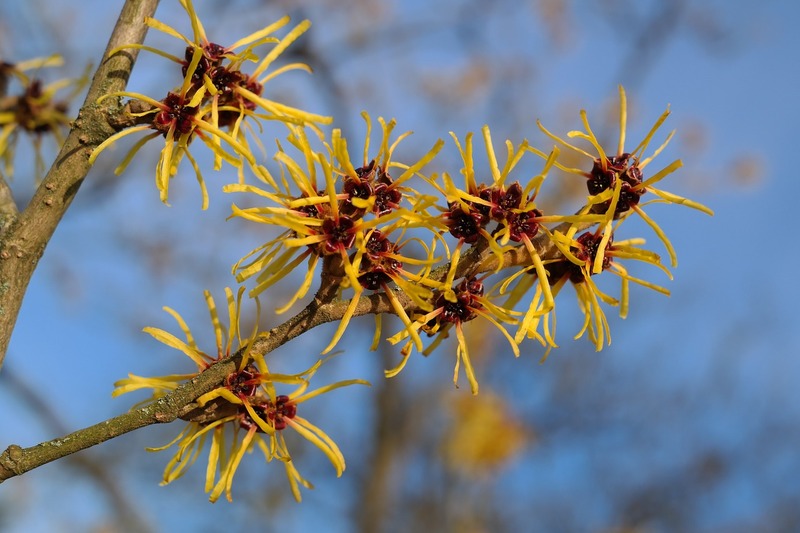 Witch hazel is great for skin irritation and minor injuries that cause redness and swelling. It can be used as a natural remedy for cuts and scrapes, bug bites, sunburn, rashes, and general inflammation. Simply apply the witch hazel to the skin using a cotton ball or pad and let the natural healing abilities do the work for you. You can also apply a cream or ointment that contains witch hazel or mix the compound with another product to add more anti-inflammatory benefits. This deep conditioning mask promotes vibrancy and skin resilience. Witch Hazel Water works to control breakouts and serve as a natural antioxidant and anti-inflammatory, while Sodium Hyaluronate penetrates the skin to hydrate and repair tissue. This exfoliating shampoo treatment promotes healthy, clean hair that’s not too oily or dry. The exfoliating formula is perfect for heavy product users and infrequent shampooers. Formulated with a blend of Witch Hazel, Nettle Leaf, Rosemary and Horsetail Root, this product gently removes excess product and prevents buildup on the scalp without irritating your skin. 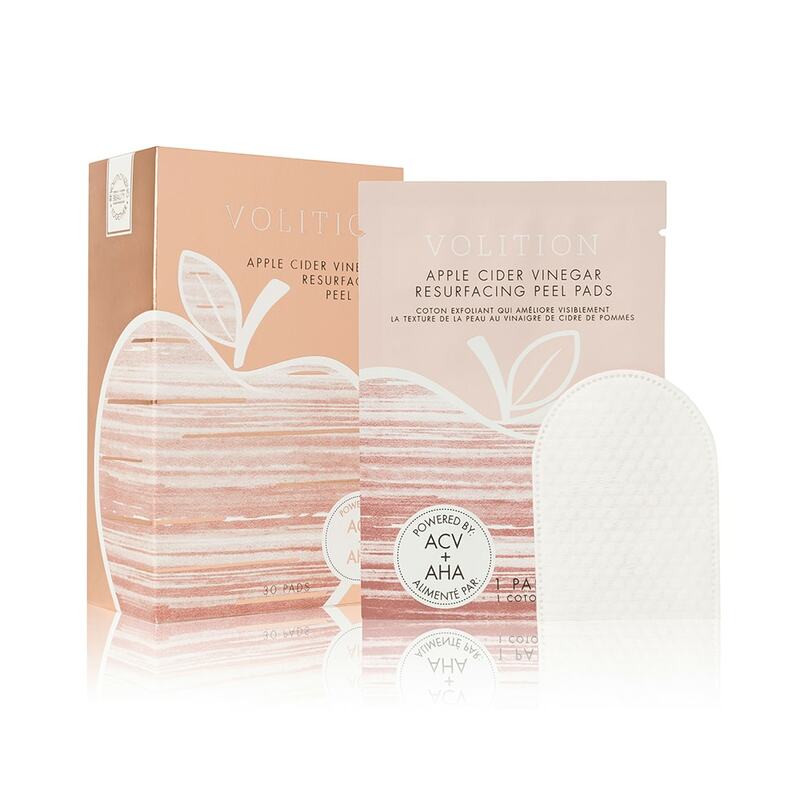 These everyday peel pads, powered by Apple Cider Vinegar, resurface, balance and help with blemish-prone skin. Apple Cider Vinegar, naturally containing AHA, exfoliates skin, revealing fresher, smoother and more hydrated skin. Witch Hazel works to purify, tighten pores and remove excess oil without over-drying skin. 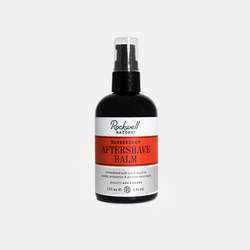 This balm is the key closing step to a proper shave so your next shave will be a pleasant shaving experience. It soothes your freshly shaved skin and hair and deeply moisturizes your skin with nourishing oils like coconut, organ oil, witch hazel, hemp seed and jojoba. With a classic barbershop scent, it’ll bring you back to the good old days of shaving. This unique cleanser doubles as a face wash and toner to thoroughly dissolve dirt without drying skin. PureScience® formula features a blend of naturally derived surfactants and certified organic ingredients, including Witch Hazel, Rosemary, Sage Leaf, Chamomile and Aloe Leaf Extracts. Cruelty-free and free of synthetic fragrance, colorants, parabens and sulfates. This toner gently refines skin, restores pH balance, and removes dirt and impurities. It contains witch hazel which acts as a mild astringent and antioxidant, as well as alpha-hydroxy acids, green tea, willow bark, and chamomilla recutita to gently exfoliate and provide rejuvenative properties. If you're not a fan of the natural smell of witch hazel but like the effects on your skin, this might be the toner for you. It's a scentless, effective toner with classic packaging. For Witch Hazel cleaning on the go, Dickinson's has 20 packs of their surprisingly useful towelettes. Perfect for travel and going through TSA, good for dealing with bug bites during outdoor activities, or just refreshing your skin during the day. Perhaps no other brand is quite as synonymous with Witch Hazel as Thayers. The iconic bottle that proudly states from 1847 and looks relatively unchanged. However their soothing toner made from proprietary Witch Hazel extract is just as effective today as it was then. If there are so many new skincare remedies available, why does witch hazel remain so popular? The answer is pretty simple. Witch hazel is completely natural and free of artificial ingredients that many other skincare products contain. It gently cleanses the skin and is usually mild enough for even the most sensitive individuals. In addition, the advantages of witch hazel are abundant. This amazing herbal extraction heals, reduces inflammation, soothes sensitive skin, and gently nourishes dry areas.